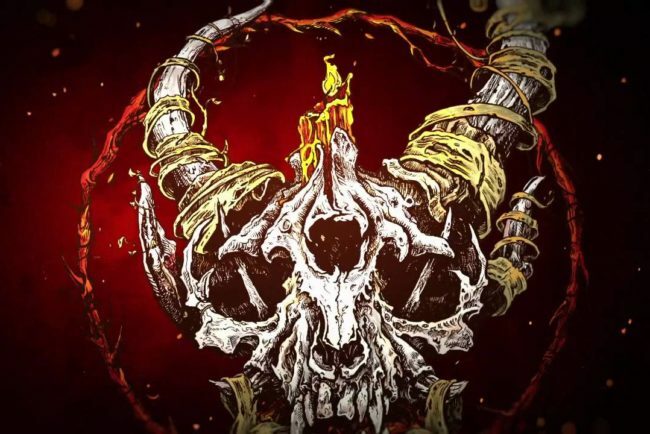 Are you looking for items that will help you absolutely kill it on the merch table? For bands these days, merch is king. 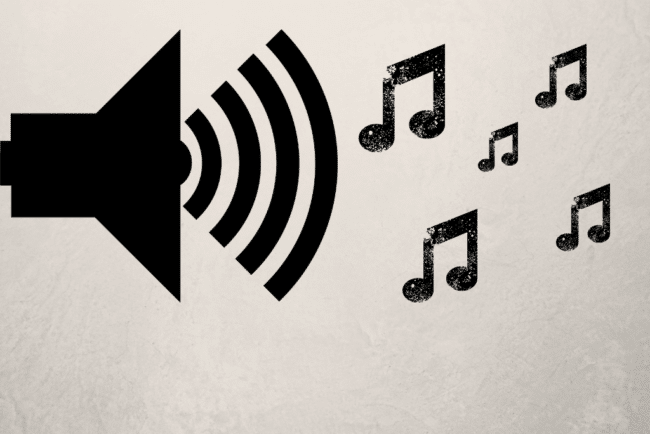 If you do it right, merch can massively increase revenues for your band’s business. I have two recommendations that I believe can start a whole new trend. 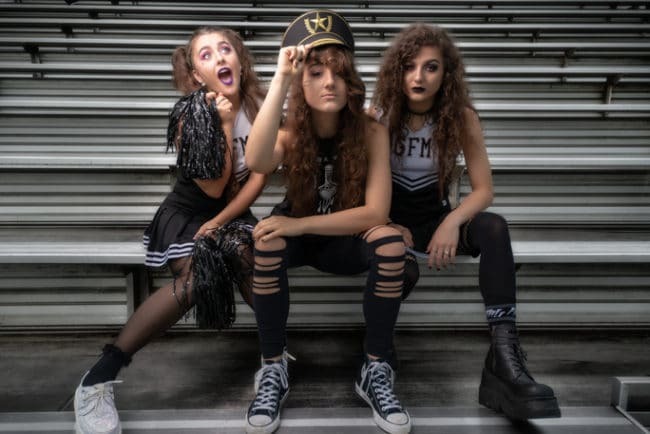 Fans love band T-shirts, Jerseys and Sweatshirts but in addition to the classic merchandise that a band typically offers, new, fresh items will get fans excited. What can be that next big items that they will buy, wear and spark their friends to want too? I’m getting to that. I believe these two items have the potential to go big. This can only happen if they are awesome, of course. 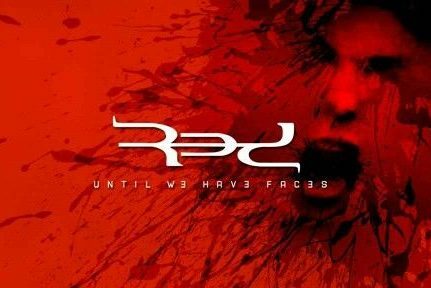 Just slapping a band logo on them without considering design and style won’t cut it. Are you ready to promote your music with some incredible new merch that will have your fans posting pics on social media? I propose the two next big items that have to the potential to bring more sales to the merch table. In case you don’t know, leggings have made a big comeback for women. They have been reinvented to come in all kinds of funky patterns, worn with T-shirts, dresses and just about anything really. 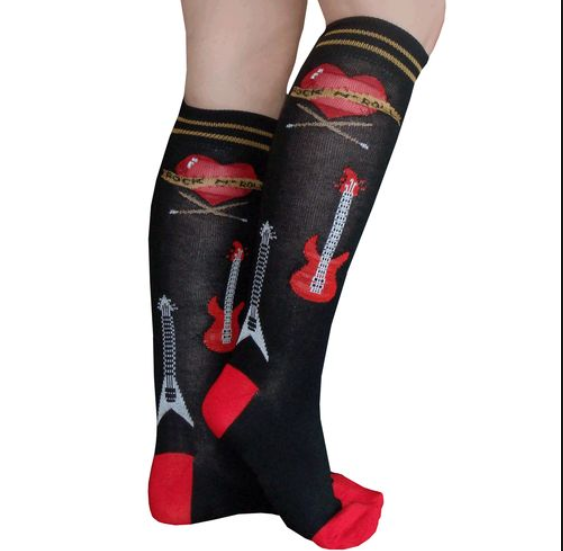 As excited as some women get about their Disney leggings, rockers can absolutely kill it with band branded versions and fans will rock them with style. Seriously, this trend is growing like wildfire but few bands sell them. Some metal bands have been selling them, mostly because they were part of the genre look in a sleek, spandex version. 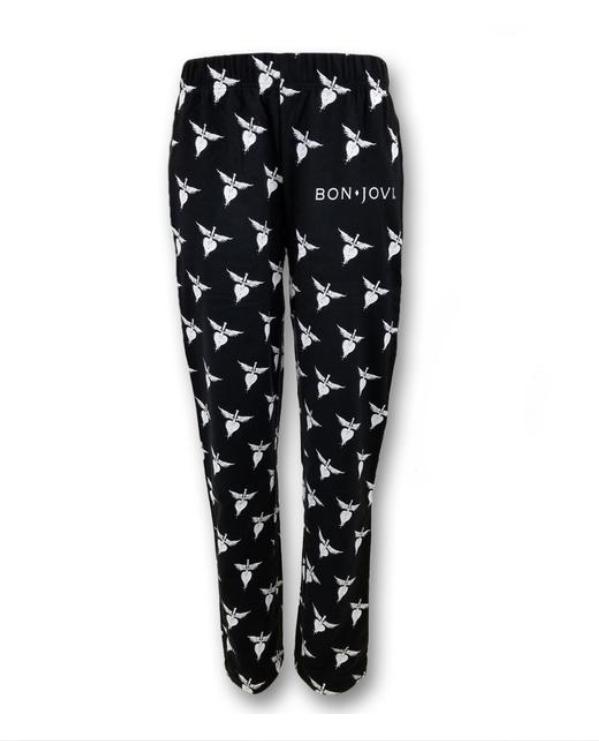 Today’s band leggings will go far beyond that to appeal to any style, sporty, girly, rocked out, simple with just a band name. 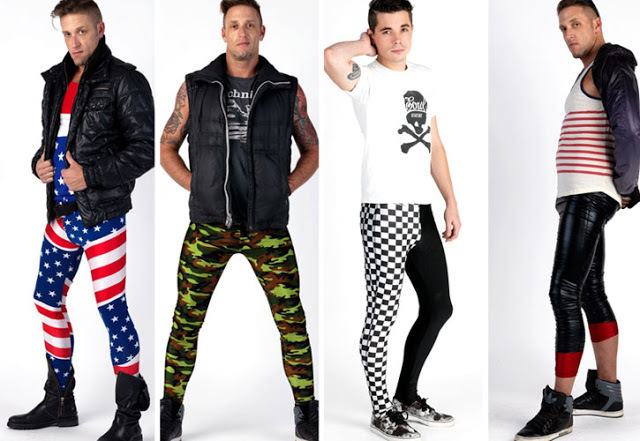 Here are some styles to help you get a vision about the potential for leggings as band merch to go BIG! 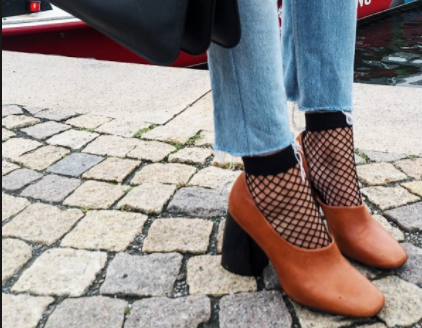 Fashion is always looking for a new twist on a staple item. 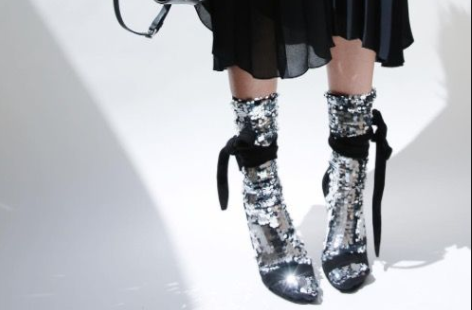 Socks are that item that can be taken from common utility item to fashion statement. Rolling up those jeans to show off your socks, wearing them with sandals or even high heels are trendy ways to show your a fan. Sharing ourselves is what this era is all about, not only on social media but out in public too. Sock competitions at the workplace and at events are becoming a popular thing. 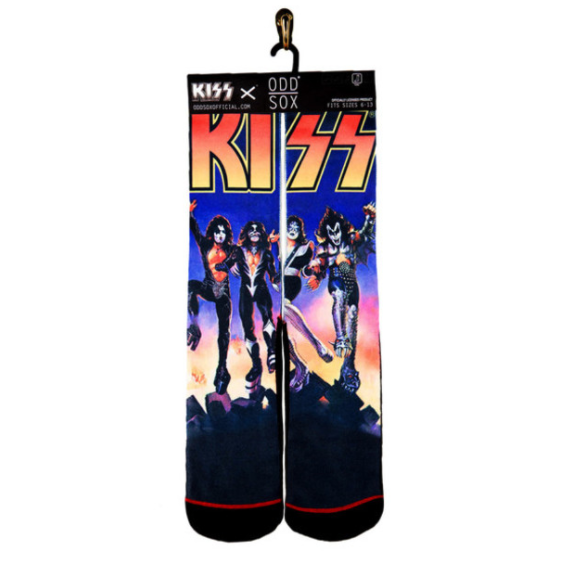 Your fans can show off their band socks at these events and represent their fav bands. 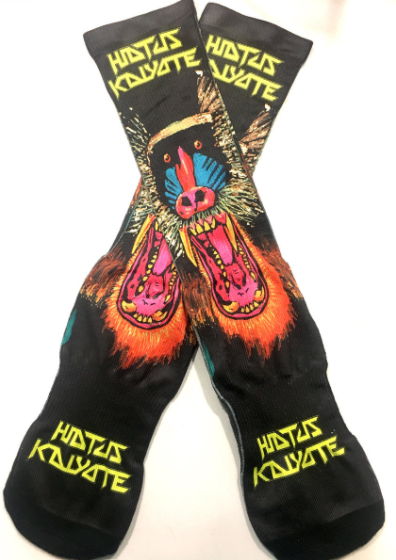 Awesomely created band socks with album art, cool band logo or lyrics can be the next collectible item that fans will wear. The more they wear, the more they share . This is an exciting opportunity you don’t want to miss out on. 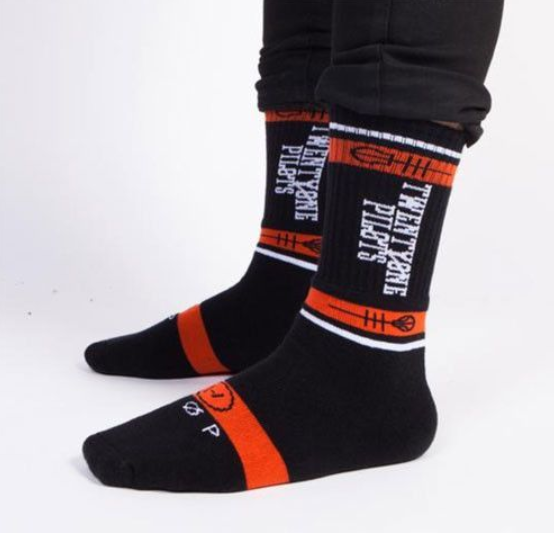 Everyone wears socks and who wouldn’t want to buy a pair of socks with their band on them? These styles are for inspiration. 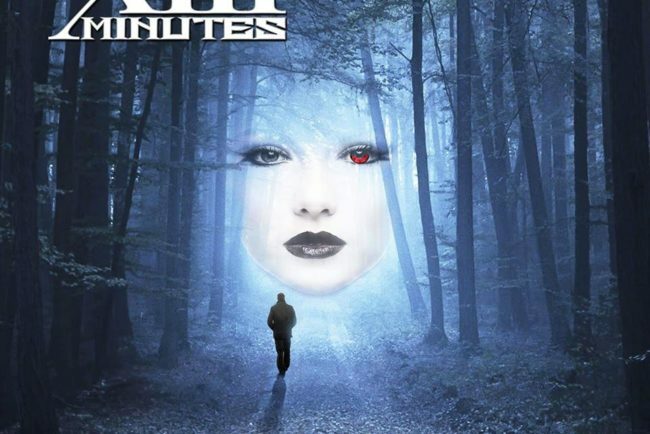 Just imagine the styles that you can create with your band’s style, logo and band name that will have your fans in a frenzy. There’s not much more to say but the success of how big this can go is in how creative you get in the design and how well you market them. You will want to keep your fans personalities in mind when creating designs and have simple versions as well as trendy. You can get in on increased merchandise sales and be part of the buzz that I believe will be happening in the world of band products and merchandising.